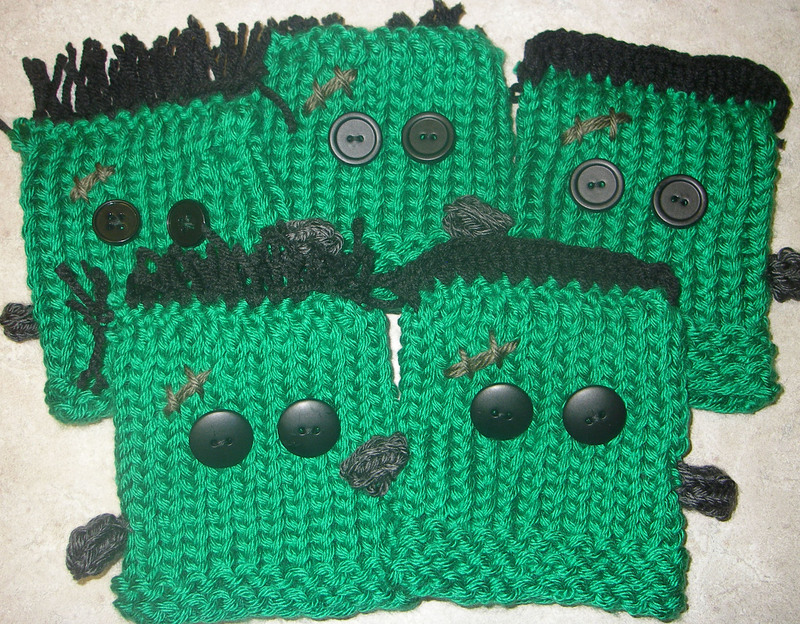 Just in time for Halloween, we thought we would share with you a super easy pattern– Frankenstein hats for NICU babies. Of course, you can make these hats for bigger goblins by using a bigger loom and knitting more rows. I don’t like providing row counts, as it changes depending on how thick the yarn is. Thread the tapestry needle with a different color yarn and remove the hat off the loom, peg by peg. If you give these a try, we would love to see pictures.